Home Travel News | Travel Guides 7 Easy Ways of Traveling Plastic Free through India! Traveling plastic free is among the topmost signs of responsible tourism and one that all travelers must follow unfailingly. The onus of conserving the environment and keeping it clean is as much on travelers as it is on the locals. 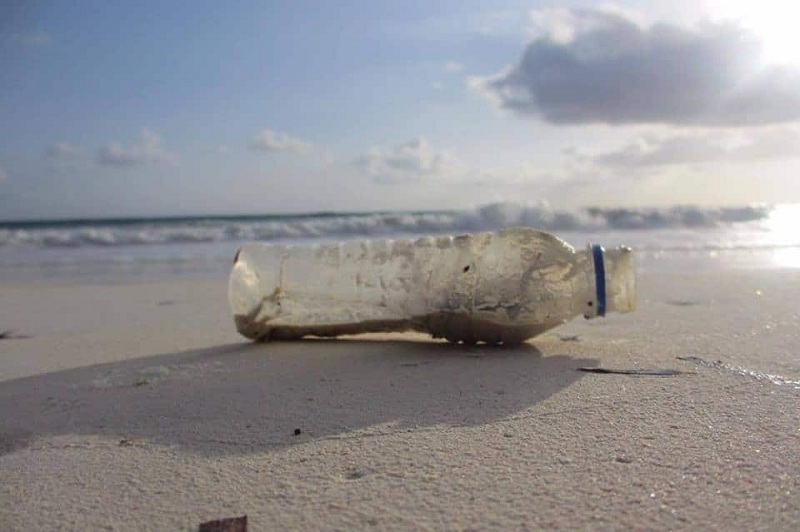 Irresponsible travelers leave tourist areas plastic and other waste-strewn once they are done exploring. The environment suffers enough owing to pollution and we must do our bit to help it heal. If you’ve been wondering how to travel through India plastic free, it’s actually fairly simple to do so. There are several plastic free blogs offering good ways to go plastic free. We’ve listed some easy ways for you to make your trip plastic free. These tips will come in handy whether you’re heading out on a planned vacation or making an emergency trip somewhere on cheap last minute flights. Use them effectively and make traveling plastic free an incredible reality. One of the easiest ways of traveling plastic free is to carry reusable plastic free cutlery. It could be steel, bamboo, or any other environment-friendly material. You won’t need this when dining in restaurants but it will come in incredibly handy while on the road. Many travelers also carry wooden forks, spoons, and blunt knives (for cutting fruits). You can also carry snacks in stainless steel plastic free travel containers instead of plastic bags. A lot of us think that carrying shampoo sachets and small bars of soaps will be space-saving when packing light. While that may be true, it simply isn’t environment-friendly. In fact, shampoo sachets and quickly disposed-off soap bars are among the major things that cause pollution. They clog drains and find their way to the streets where hapless street animals try to eat them. Instead, the best thing you can do is pack a small bottle of whatever shampoo you use and substitute soap with a shower gel. One of the best ways of traveling plastic free is to include a stainless steel water bottle on your zero waste travel kit. Lifestraw or Steripen are good plastic free essentials which you can easily fit into your water bottle or a keep cup. Look for filtered-water refilling spots at your hotel or even the station where you can fill your bottle for a mere 10-20 Rupees. For India, we recommend you carry an insulated stainless steel bottle which will keep your water cool. This will help a lot if you’re traveling through hot places such as Rajasthan. There are scores of customized travel totes you can choose from. These come in incredibly handy when you’re shopping in a new place – say for instance the Linking Road Market in Mumbai or shopping markets in Chennai. You can say no to plastic carry bags they offer and use your tote instead. It’s also quite easy to carry along as you simply need to roll it and put it in your travel bag. This is not just one of the best ways of traveling plastic free but is also the ideal way of living plastic free. Most airlines are a thing of nightmares for those making efforts toward traveling plastic free. Did you know that pillows are trashed after just one use owing to sanitary reasons on most flights? This happens mostly on business class flights. It’s not doing much toward green-travel and most of them come in plastic encasings. So if more and more travelers carried their own travel pillow, albeit a small but comfortable one, it would be one of the best ways to go plastic free. Unfortunately, not all places have the option of recycling trash. But if you happen to be traveling in a place that does have this facility, make sure to put the recyclable trash in the right bin. If we all did our bit in this, we would leave a place greener than when we first found it. One of the best ways of traveling plastic free, it’s also one of the topmost marks of responsible tourism. Do the right thing. Recycle trash responsibly. We don’t mean giving people a monotonous lecture on the benefits of living plastic free. But when you decline a straw, a plastic plate or bag, say why you are doing so in just a sentence or two. Who knows, maybe this will inspire more people to give up plastic use and keep the momentum of traveling plastic free rolling. You can also promote companies that do their bit to reduce plastic use. These were some of the top and best ways of traveling plastic free through India and elsewhere in the world. Make a conscious effort to follow these the next time you book cheap flights for a trip. Be a responsible traveler and raise awareness about this incredible movement wherever you go. If you have any more plastic free travel tips you can add to the ones mentioned above, please do share with us in the comments section below.